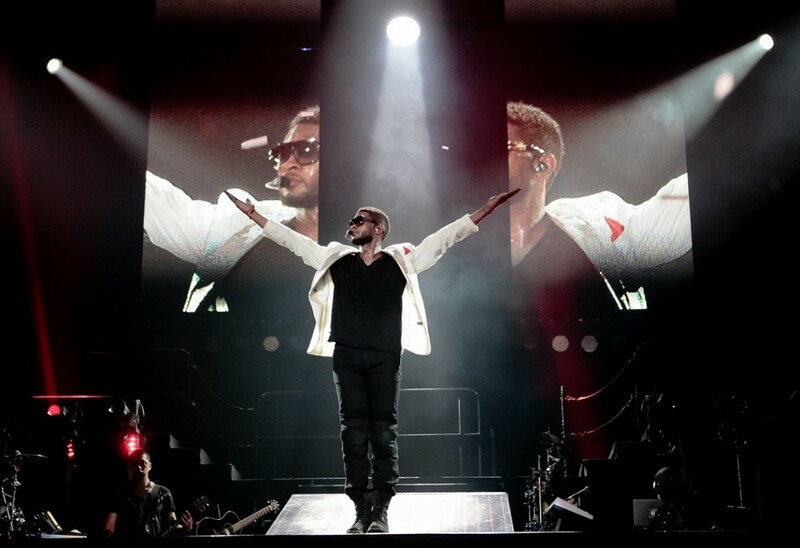 EPIX, the premium entertainment channel, video-on-demand and online service snagged Usher’s hugely successful “OMG Tour” for its subscribers. Premiering this fall on EPIX and EpixHD.com, the concert event was shot at London’s O2 Arena, where the Grammy Award-winning artist dazzled audiences over five sold-out nights. Treating the crowd to his signature brand of R&B infused pop, Usher performed hits from recent albums Versus and Raymond V. Raymond, including “DJ Got Us Falling in Love,” “There Goes My Baby,” and “OMG,” featuring will.i.am. Named Billboard’s Hot-100 Artist of the Decade, the multi-talented performer has entertained audiences worldwide. Taking to the stage at events from the Super Bowl to the Grammys, where he stopped in long enough to perform and pick up a couple awards, Usher helmed a sell-out tour that took him all the way to New Zealand. The OMG 2010 North American tour grossed over $28 million in 2010, with 29 total shows and 29 sell-out performances. Usher responded to the overwhelming success in the spirit of those born to entertain, by giving the audience what they demanded: more tour dates. After returning from New Zealand, Usher dove right into the relaunch of the North American tour in support of Versus and the platinum Raymond V. Raymond, which finally concluded in June. EPIX has developed a respected platform for award-winning performers with past musical events including, Madonna: Sticky & Sweet, Kings of Leon: Live at the O2, Bon Jovi: The Circle Tour: Live from New Jersey and The Black Eyed Peas: The E.N.D. World Tour 2010. The is a great premiere for Epix, which that suite of channels is outstanding, you can usually always find something to watch. Working at DISH network I got hooked on Epix right when it was released, and when they released http://www.dishonline.com with the entire Epix Library on it, that just blew my mind. I am sure Usher will be on their online site as well when it is released.